The holidays are such a busy time of year! It’s important to me to make sure I take time out to make a special craft with the kiddos, no matter how busy and hectic things get. I usually try for an ornament, but this year since it is our first Christmas as a family of four, I wanted a craft that included both of the kiddos’ prints. Since getting a hand print (in paint or ink) from the baby is near impossible right now, I opted for a footprint. These crafts were pretty quick to put together, but, if you’re not well stocked, you’ll need a trip to the craft store or a visit to Amazon. It’s likely that much of this can be gathered from your house already, but if you need a few craft supplies click here. 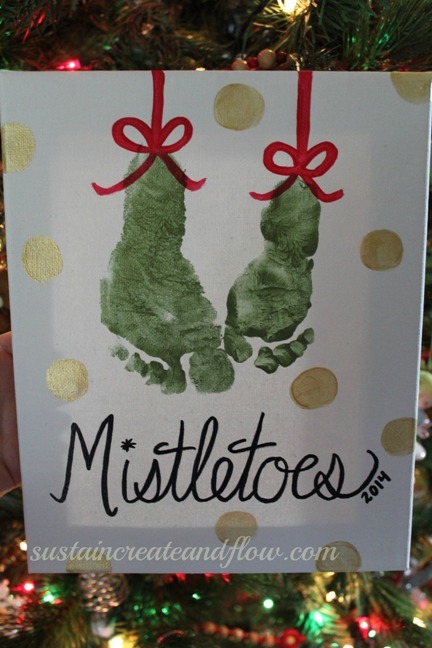 I painted Sweet baby’s foot and stamped it onto some pretty paper and allowed to dry. 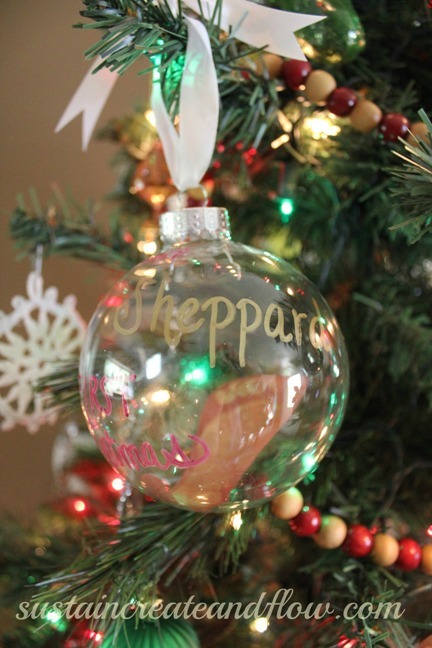 Next, I cut it out and slightly rolled it to slip it into the clear glass ornament. I used the end of my paintbrush to position the footprint. 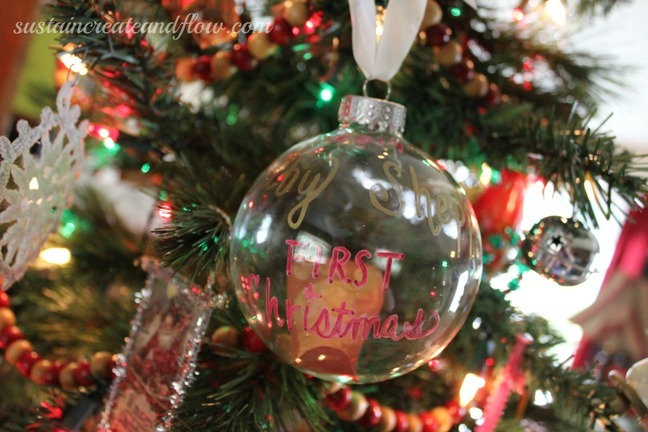 I wrote sentimental stuff on the outside of the ornament, attached a ribbon, and hung that little treasure from the tree! 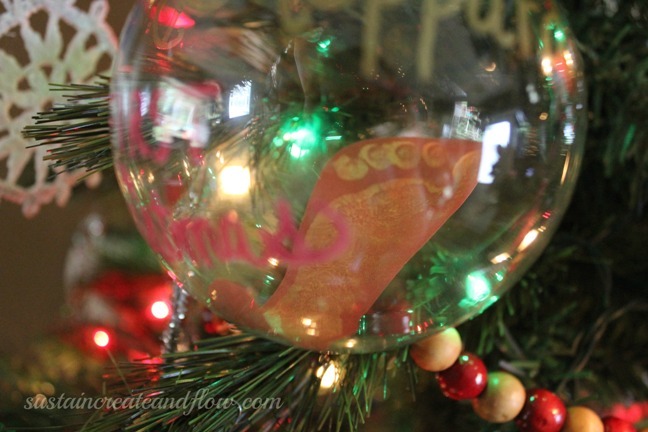 For another quick and easy ornament idea, check out this post from last year.